Xamarin Developer Evangelist Mike James will be joining us to talk about all that is new in Xamarin and report on all the announcements from the Xamarin Evolve conference. Come along to hear the latest news! If you've got something to show or share we'd love to hear from you. If you can let us know in advance then all the better. Because we don't want you to get too hungry or thirsty if coming straight from work we'll also be providing some food and drink. Registering in advance helps us order the right amount and is an opportunity for you to tell us about any allergies, etc. 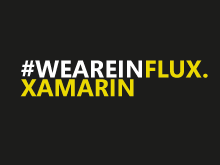 Need to get up to speed with what's happened lately with Xamarin, HockeyApp, Azure and all things related? Check out the video below and be informed! Sorry, this event has ended and no recorded sessions have been added.